Take a moment to make a moment with Chivers! Chivers has been bringing Irish families together around the table since manufacturing began in Dublin, in 1932. The first Chivers factory was situated in Henrietta Place until a new factory was built at Beech Hill in 1952. The Chivers factory at Coolock however, became the familiar home to the brand in 1971. Throughout these movements one things for sure; the Chivers brand has remained at the heart of Irish shoppers. 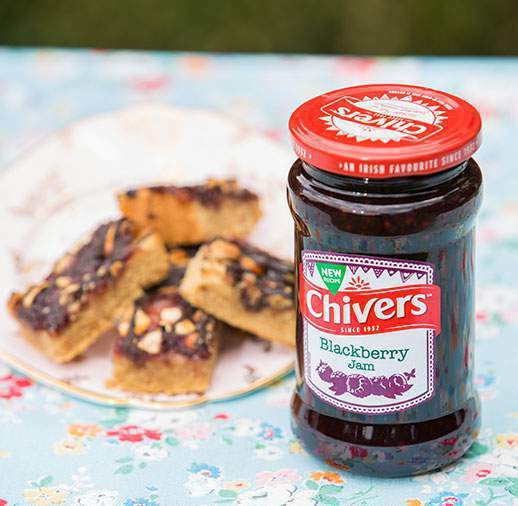 Loved through generations, Chivers continues to delight Irish families with its delicious ranges of preserves and jelly! Now softer and juicier, Chivers Jams and Marmalades have been re-launched in 2015 with our best ever recipes and a great new look! Chivers Jelly range includes traditional Jelly Cubes and new No Added Sugar Jelly Crystals, which are great to enjoy as a treat and make a perfect ingredient for trifles and a host of other delicious desserts. 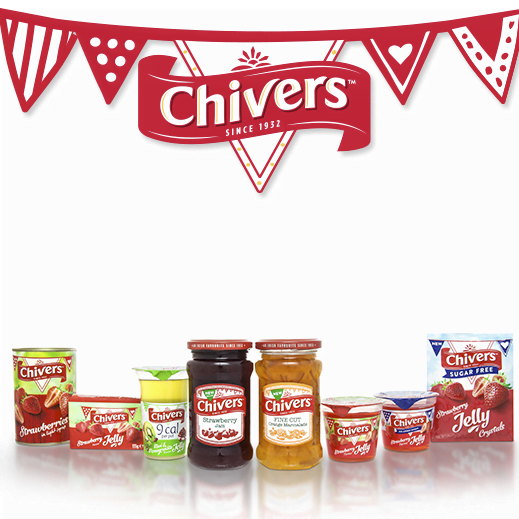 Knowing that Jelly makes the perfect flavoursome snack, Chivers began to produce convenient Jelly Pots at its site in Drogheda in 2014. These individual, ready to eat, Jelly Pots are perfect for enjoying on the go! With lots of fantastic flavours to choose from, and choices of No Added Sugar and 9 cal, there’s sure to be a favourite for everybody!